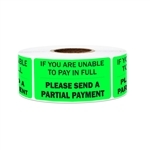 We found 8 results matching your search criteria. 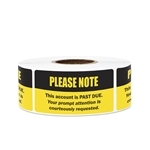 Size of Label : 2" x 1"
Printed Design: Please Note, This account is PAST DUE. 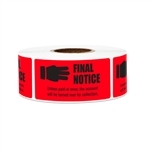 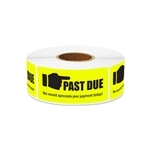 Size of Label : 2.25" x 1"
Printed Design: Past Due We would apreciate your payment today! 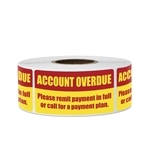 Perfect use for billing, collections, warehouses, retail, restaurants, schools, offices, etc. 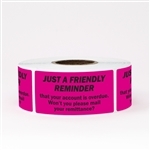 Printed Design: CAUTION Your account is now __ days past due. 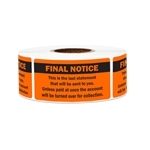 Printed Design: FINAL NOTICE Unless paid at once, the account will be turned over for collection.